ArcGIS Solutions Deployment Tool, an ArcGIS Pro add-in, will make it easier for you to find and deploy ArcGIS Solutions. 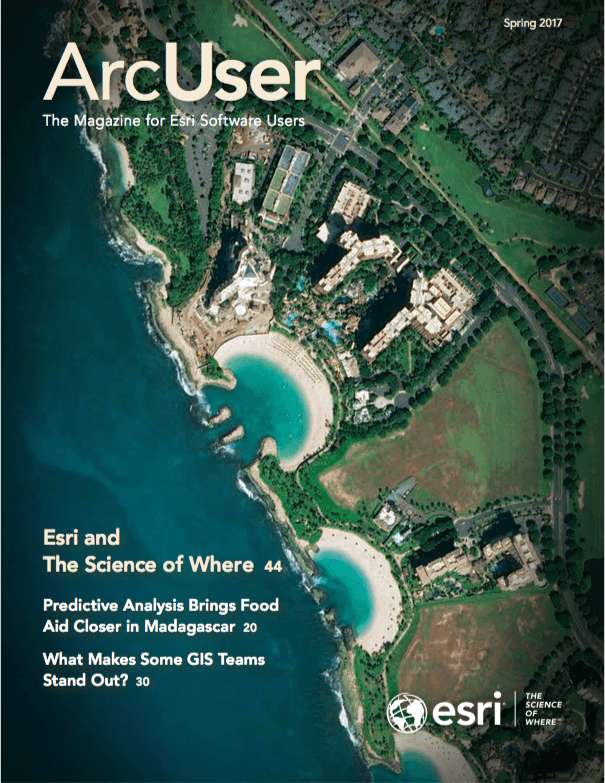 If you are not already using them, ArcGIS Solutions are free and supported configurations provided by Esri for defense, utilities, state government, local government, and other industries that enable typical workflows in specific industries, deliver innovation, and incorporate best practices that improve your organization’s workflows. 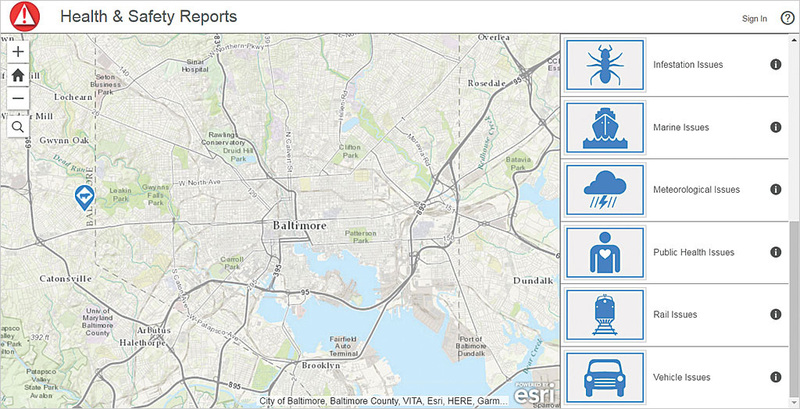 Some ArcGIS Solutions, like this Health and Safety Reports app, are designed to solicit information from the public so you won't need to load data before sharing them. Released in January 2017, the ArcGIS Solutions Deployment Tool lets you browse the catalog of hundreds of ArcGIS Solution apps or search by industry or keyword in the same way you would locate an office productivity add-in, but the deployment tool does much more. The tool lets you deploy the selected solution to ArcGIS Online or Portal for ArcGIS simply and with little effort on your part. The tool only needs to be installed once, because the list of ArcGIS Solutions apps is dynamically managed by Esri. This add-in includes a series of tasks that have been optimized to deploy ArcGIS Solutions for your organization. Each solution generally includes one or more feature layers, maps, and applications. The deployment tool creates the items, groups, feature layers, maps, and applications associated with the solution you have chosen. After a solution is deployed, you can make any additional configuration changes that might be needed to meet the specific requirements of your organization. In some cases, you may need to modify the feature layers used by the solution to support specific business needs in your organization by adding or altering fields, domains, and other parts of a layer. Maps provided with solutions may need to be harmonized with specific cartographic design requirements to support the maps or applications in your organization. In some cases, you may need to load existing data into the ArcGIS Solutions app before sharing the maps or applications. Reviewing the maps and applications provided with the solution will let you identify if there is source data you need to load. Some ArcGIS Solutions apps are designed to capture new data for your organization or solicit information from the public. For these solutions, you won’t need to load data before sharing the ArcGIS Solutions app. The ArcGIS Solutions Deployment Tool requires ArcGIS Pro (Standard or Advanced) version 1.3 or 1.4 and ArcGIS Online, ArcGIS Enterprise 10.5 (Standard or Advanced), or ArcGIS for Server (Standard or Advanced) 10.4 and Portal for ArcGIS for map service hosting. Application hosting requires ArcGIS Enterprise 10.5, Portal for ArcGIS 10.4, or ArcGIS Online. To deploy ArcGIS Solutions in your organization, install the ArcGIS Solutions Deployment Tool on each ArcGIS Pro machine that will be used to deploy solutions in your organization. Installation of the tool adds the ArcGIS Solutions Deploy button to the Share tab of the ribbon interface. To deploy a solution, users must have privileges to create new content in their ArcGIS Online organizational subscription or Portal for ArcGIS. Learn more about the ArcGIS Solutions Deployment Tool and download it.